MGX Minerals CEO Jared Lazerson speaks with The Critical Investor about his company's wide-ranging projects. The last time I wrote about MGX Minerals Inc. (XMG:CSE; MGXMF:OTCBB) I described it as a rare breed of junior, and this company definitely seems to do everything to increasingly set itself apart from usual paradigms. 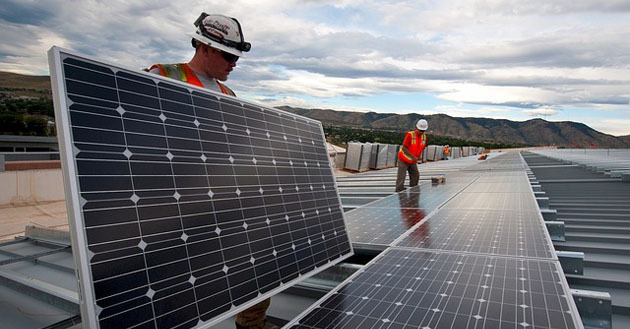 It is not just the sheer number of ongoing projects, the staff model or the colossal marketing spending, it is also delving into several clean energy-related technical developments that could change entire industries when successful. All this is financed by large capital raises, and accompanied with an unprecedented volume of news releases to make sure investors don't miss a thing. As all projects of MGX seem under development in some shape or form, it is very hard to attach a tangible value to them. Nonetheless this is important for investors in order to determine the value proposition at hand. Fortunately the company released the results of the Driftwood Creek PEA in March of this year, providing a solid NPV5 of US$240.7 million and sufficient IRR of 19.30%, both numbers are post-tax. Compared to the current market cap of C$82 million, Driftwood provides a nice, estimated PEA- discounted bottom value of about C$40�50 million, which is about 20% of the post-tax PEA NPV5, which I view as realistic for such a high-grade, profitable magnesium project in a good jurisdiction. With this tangible value established, investors can determine how much the array of other projects and assets of MGX could be worth with some kind of backstop. First and foremost the wastewater brine plants are about to commence production; the ZincNyx acquisition is about to be spun off as a separate, listed company called MGX Renewables; the company is partnering in the exploration of a hard rock lithium project; has a large oil asset; is pioneering extraction of lithium from LatAm brines; has silica and rare earth assets that it is exploring at the moment; is looking at geothermal projects; and several other activities. Several reasons can be found for this. The last closed and very impressive $15.5 million financing (June 25, 2018) at C$1.15 and a full warrant brought down the share price again after the elevated levels seen in May�June. It must also be said that MGX had to endure the summer doldrums, and we are moving towards tax-loss selling season at the moment, general stock market sentiment is a bit shaky, the world economy shows the first signs of slowing down, a trade war between the U.S. and China is in full swing, and PMI has sunk below 50 for the first time in a long period, so sentiment isn't very positive at the moment in commodities and related stocks, and investors could be seeking safer or more attractive sanctuaries than high risk junior ventures for the time being. Nevertheless, as MGX fundamentals seem to keep improving with revenues around the corner, I view this relatively low share price as an interesting entry level for interested investors. It is a good time to catch up with CEO Jared Lazerson again, to see where MGX is going from here. TCI: Thank you for participating in another extensive interview with me. Let's focus on the core business of MGX first, which are the wastewater treatment plants. When will you finally be able to name the oil sands partners you have a contract with for NFLi units in the oil sands? JL: Thanks for having me again, my pleasure. When we start processing, the contract partner will disclose its name. We aim at November 2018 to start processing wastewater. TCI: When can we expect the first orders for treatments systems? JL: The first order was a government order, involving the grant. Right now we are on order #2, and we expect an announcement within a month about ordering additional systems (wastewater and lithium systems). 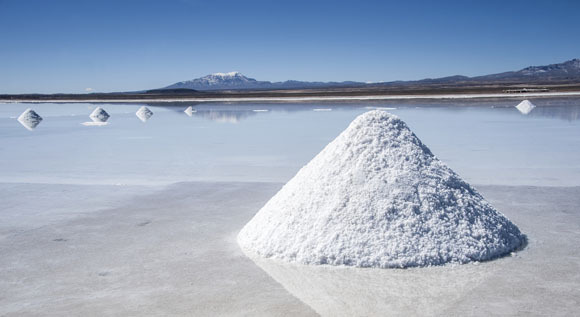 For lithium we are targeting one plant in the U.S., one plant in Chile and one plant in Argentina. Of those, I expect the South American orders to come through first. TCI: The North American oil and gas industry generates up to 100 million barrels of brine per day. How much does MGX make per barrel? 10% of the Canadian brine market would be 10 million barrels per day or 3.65 billion barrels a year. JL: There are several ways of water treatment, you have production water handling, which is high volume and not toxic; this is projected to generate margins of C$0.75�2 per barrel. We also have the oil wastewater or evaporation blowdown business, which is highly toxic but also very profitable, with margins of about C$6.50 per barrel. This second category doesn't have much volume but nobody can do this; I expect a few million dollars in annual revenues. TCI: Any information on plans to expand production capability related to plants for water treatment/rapid lithium extraction? JL: We have a 750bpd plant being transported to our own centralized site in Edmonton at the moment, this site came with the government grant. We expect this plant to be producing at the end of November. We also have a 1,500bpd plant almost completed in Calgary with Purlucid, which when finalized will be transported to the current 750bpd location. The 750bpd plant will in turn be transported to South America, probably Chile, as a demonstration plant as we have a lot of interest for the technology. We are busy with a 3,000bpd plant for South America, the first already has been ordered, and we are starting construction now. The largest model is a 7,500bpd plant, which has been designed and engineered but hasn't been ordered yet. TCI: With less than 20 years left on your patents are you feeling the pressure of getting to market? Which areas are you finding the hardest to negotiate? JL: Patents are as good as how much you want to enforce them. We noticed not much infringement on our patents right now going on, so we are not feeling the mentioned pressure for patents. We do want to achieve revenues as soon as possible though. TCI: During the demonstration in Calgary, were you able to drum up any solid interest in the oil and gas industry in Alberta? JL: I would say that the O&G industry in Canada is not very active, 90% of interest comes out of the U.S. these days. TCI: Are you looking at older SAGD wells, older conventional wells, or both? JL: We are looking for mostly SAGD wells (SAGD = steam assisted gravity drainage), also conventional wells for production water at high volume, and also refinery water. Over time we aspire to handle many different kinds of wastewater, enabling a concept of re-using water. TCI: I have heard about some patent applications for major oil sands operators that have been experimenting with mixing in tailings pond water with their blowdown water in an effort to reuse the tailings. Are we ever going to attack this blight (tailings ponds) and contribute to the positive reputation of the Alberta oil sands further by reducing their size and finally eliminating them? JL: In regard to tailings pond water, we think this is an interesting topic, and we are also looking into this. TCI: What is the construction time for each type of plant, and what is your annual capacity? JL: The manufacturing time is four to five months regardless of the type of plant, we could do six plants at the time�I believe our maximum could be 18-20 plants per year at the moment at the current facilities. If we would like to do more than this then we have to make big adjustments to everything, which is capital intensive, so one step at the time, and focus on our first plants being constructed and commissioned. TCI: MGX was deploying all four units in June according to earlier news releases. There has been talk that the three plants were complete and would be deployed "shortly" and the 750 bpd NiFL5 is being used for demonstration and is ready for deployment. Earlier on, I was under the impression we would have four of these online in June, but it is just one NFLi5 only. The other three are three different pieces related to blow down processing. It takes three stages to complete that entire process, at least that is how I understand it. Prior to the demonstration news, the previous NR said the timeline was to have all four deployed by June. The three separate pieces were to be deployed in June. What is the status on this? JL: This must be a miscommunication. As I said, we have a NFL5 (5m3 per hour = 750bpd) producing in November, a 1,500bpd (the NFL10) plant coming online in 60 days, another 1,500 just arrived and we are starting with the construction of a 3,000bpd plant. TCI: Rumor has it that a larger 7500bpd unit is being designed at the moment. It will be extremely interesting to know if this is true, to what party and location this one goes. Or maybe this is part of blowdown processing equipment? JL: No, we don't have a 7,500bpd plant soon but a 3,000bpd. We are building the 3,000bpd plant for ourselves, so we can lease it out, take royalties, get a processing fee, a JV offtake partner; there are different opportunities and we are full on in negotiations at the moment. TCI: It is good to have this cleared up. One more rumor then. 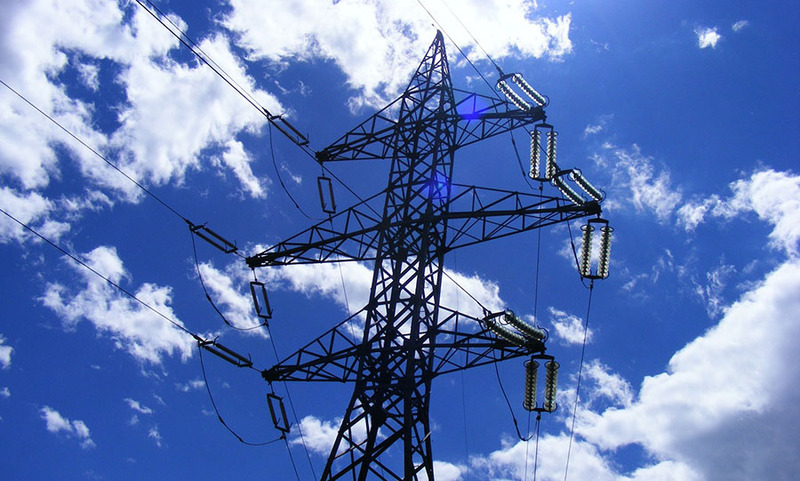 There has also been talk on the street about a scaled up unit being 13,000�15,000bpd, if you don't design a 7,500bpd plant at the moment, what is the status of this unit? JL: There is no 13,000�15,000 unit, or plans for it. At the beginning of Q1 2019, the 3,000 plant will be completed. We have hired Hatch to scale things up professionally, and they are even working on the design of a 9,000t LCE plant. The scoping on this should actually be done by Friday, it was three-month project for scale up and its looking good. The report is about 120 pages and it gives us the jumping off point for large scale, low CAPEX systems. TCI: Thanks, this straighten things out decisively. You stated in February that MGX/Purlucid would deploy plants within 60 days, which would have put deployment in early April. Since we are in October now, what has caused the delays until now? What is your strategy to deal with future delays by project partners, should they occur? JL: This was a combination of things. It was much more work than anticipated by Purlucid, in terms of optimization and time. It's the first system so that's always tricky in terms of testing. But now the last six months the O&G operators took a lot of time with site integration, as well we needed regulatory approval. It is actually quite amazing in retrospect that we have been approved to operate in line with multi-billion SAGD operations under high temperature and pressure. Integration with multi-billion dollar SAGD operations is not easy and it is a real achievement to get a signoff from the oil companies and regulators in order to deploy equipment. This is also some of the most advanced equipment in the world so the idea that this could somehow be off the shelf cut and dry deployment would be inaccurate. We are starting to make it cookie cutter but that's not how it starts out. I am not sure if many people outside of the oil sands really understand what it takes to get these deals done and get internal and regulatory approval. To risk even in a small way integration with third parties involving high temperature and pressure reflects a huge vote of confidence from the oil and gas regulator and the oil majors we are working with. In future, things will get easier as this is the nature of deploy and repeat by building additional units and gaining experience at all phases of engineering. The first system will iron out the kinks but shortly the next two will be in line. It is a real achievement to get these approvals. We are the only ones that can do deal with this type of wastewater inline and have the approvals. I am very proud of Purlucid and this achievement. It speaks to an extremely high level of professionalism. But at the end of the day I take responsibility for communicating the delays, I should have filtered it regardless of the goals and good intentions of the scientists and we will be tighter in the future. TCI: Reportedly there were engineering problems to hook up the 750 bpd NiFL5 unit to the customer installations on site. Now this plant, which should be the one involved with the first contract, happens to be shipped only recently (October 2) to a centralized location in Edmonton, to potentially serve multiple clients. Is this plant coming from a failed attempt at the first customer's site or not, and what happens to the contract of this first customer? Does this new centralized location involve new clients? JL: There was no such problem at the site of a client, as the plant was never at such a site. We can take water of two clients at the centralized location, maybe even of three clients. TCI: What is ongoing in the way of piloting activity, including the piloting described by Dr. McEachern in his Oil Sands Trade Show Presentation in October, which referenced >80 degree pilot at the 340 MW geothermal site and a <80 degree pilot there "this summer" and a Kentucky wastewater site? JL: We have a lot going on. These are just a few of the projects, so I would rather not comment on midstream deals any longer. We will announce the deals as they are completed or projects come on line. TCI: How important is it that MGX/Purlucid re-engineered the plant to be 100% more efficient than delivering a 750bpd plant? Couldn't you do this after you delivered and commissioned the first plant after many months of delays, to show the world this technology actually works and produces revenues? Or was the first plant not really commercial, and it had to be optimized first? JL: We were optimizing it for lithium recovery; water treatment has always been good. Purlucid wanted to optimize things more as mentioned, and I am responsible for this. The R&D on this has gone on longer than needed, as the Purlucid guys are ex government guys with a different, academic attitude. TCI: Let's discuss the progress on the first actual contract that is in place for Purlucid and MGX in general terms. There are no direct revenues for MGX; there might be a dividend in the future. What is the status on this? JL: There are two contracts in place now, one is with an oil sands producer, and the other is based on a government grant that funds part of the construction costs. Both contracts are based on a US$6�7/barrel contract for blowdown for SAGD producers. The first contract is based on a NFL5, with US$1.6�1.7 million gross revenue. MGX owns this plant, Purlucid is the contractor, and revenue is split 80/20 for MGX (20% goes to Purlucid as a management fee). The second contract is based on a NFL10, which is grant funded, and has a projected gross revenue of US$3.2�3.4 million. Purlucid gets all the revenues from this, and MGX as a majority owner of Purlucid (60% now) probably gets a dividend from this; we are working this out now. TCI: What is the status on the normal wastewater treatment projects, as you stated you would be looking at large contracts in this field next year when the plant has proven itself? JL: For Canada, MGX and Purlucid are looking for an O&G partner. We are looking for one stop solutions, preferably no majors but $100�200 million market cap companies. In the U.S., we have pulled back from regional parties and are looking for majors directly. We are not big enough for some, and are looking at strategy. How can we optimize and monetize without raising large amounts of money. TCI: Could you give us a renewed status update on timelines for commercial contracts? JL: As you have seen from the news release, the NFL5 will be in production in November. The NFL10 will be in production 60 days later, and the NFL20 is projected to go into production two months after this, and revenues for this one are estimated at US$6�8 million. The first NFL5 plant moves to Latin America as a test plant when the NFL10 goes into production at the same location, so the NFL5 will not produce revenues for a while then. 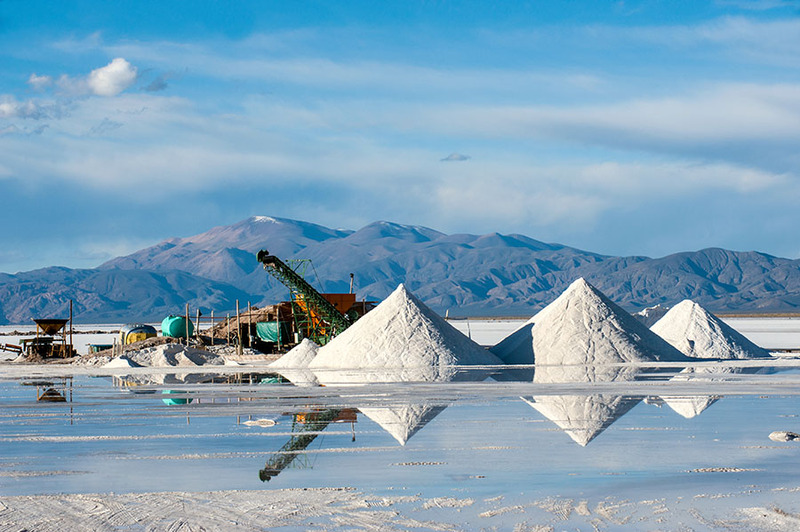 We are estimating about US$10 million revenues for 2019, of which US$5 million will come from lithium, and US$5 million from fees for treating wastewater. TCI: As we discussed, MGX has a first (and high margin) contract with an oil sands player in place. Regarding the demonstration contracts, 90% is completed, 2 or 3 from 12 are being followed up at the moment. MGX is looking for projects with scale. One of the follow up contracts the company is closing in on is a 5,000bpd agreement with Chesapeake Oil, which has wastewater containing 200ppm Li which is very high in wastewater terms. MGX foresees about $3.4M in LCE revenues, and about $7M in water treatment revenues, together generating $6.7M in profits. MGX is still within the demonstration contract on this one, bulk samples are ongoing, more testing has to be done, could take another 6 months for a decision.> update? JL: The agreement with Chesapeake Oil is still valid, they said come when you have a plant ready. They couldn't get water samples to Purlucid which didn't convince us. It is not clear if there will be real business out of this contract because of this. We are not contemplating sending a demonstration system very soon. Now we actually have two follow up clients in the U.S., and we are looking for partners who can deal with clients directly, so we don't have to do this ourselves. It is a cyclical market so we don't want to do big investments as well. TCI: Can you tell us about the capex for the current treatment plants? JL: Sure, the NFL5 with the 750bpd capacity has a capex of about US$750,000, the NFL10 with the 1500bpd capacity of about US$4 million as it has titanium parts (it can handle more pressure, heat, etc. and is high end, long life), and the NFL20 with the 3000bpd capacity has a capex of about US$2.7 million. TCI: Something else, which has been bothering the company behind the scenes for some time now. Despite Bruner's petition filed against the company, is he in fact still employed by the company? Is Bruner still a chairman? His name suddenly disappeared from the MGX website and there is no mention of his still being chairman of the board, or of his removal from it. Could you explain as much as you are legally entitled to about the Bruner story? JL: It's a compensation dispute; this could have been easily resolved, but Bruner is about Bruner so it goes to court. He claims he is due full compensation, however MGX says approximately $2.5 million in stock at the time of issue is more than adequate compensation for a variety of reasons. There will be a decision shortly whether the petition is enforced in whole or part, dismissed or whether it needs to go to court. At this time the company's position is simply that this should go to trial and we would hope that we are not deprived of that right, it's a lot of stock, about 7 million shares. He is also claiming he has been oppressed so he has remained on the Board but has been fired as a consultant. This is obviously awkward but he was elected at the last AGM so best to just replace him at the upcoming AGM and not create more legal folly. In light of this, I would strongly encourage everyone to take the time to vote and make sure there is nothing that would allow him to remain on the Board or otherwise continue to negatively influence the company. As you may imagine we have some excellent candidates we are looking at to replace him at AGM or shortly thereafter. TCI: Let's hope this dispute doesn't drag on too long. When will you be able to name the Paradox Partner, or any other partners for that matter? This would bring a great deal of credibility to any project of MGX, and all figures and estimates that come out. JL: Our Paradox partner is private, it is no one special although there is a major that still owns about 7% of the project. We aren't an oil and gas company but this is the one project Bruner brought to the company and we are trying to monetize or advance it instead of writing it off. We have spent a lot in carry cost, so we are trying to get the 3D done in part or whole and partner or IPO it, while it's interesting, it's expensive. Very good potential and the 3D should give us some Li data as well, but really this is a classic oil and gas exploration play, with high risk, high return. Larry Marks, one of our consultants, former #2 at Shell Canada and holding a PhD in Geophsyics, has been advising us so it is in good hands. Step by step. We are looking for a partner or other way to get this into a better financing mechanism such as a pubco subsidiary front and center, as drilling is a few million dollars a hole. TCI: Let's talk about Driftwood a bit. What are your thoughts on financing for Driftwood capex? I heard from existing shareholders that they are not really in favor of further share dilution to raise funds for this project. Is MGX looking to banks or other institutions for grants, loans, tax incentives to get this quarry going, or JV this? JL: We are not at that phase yet but we understand there is a big difference between raising US$20 million and raising US$250 million in terms of dilution, and Driftwood would be the latter. The project will most likely be financed as a subsidiary within its own capital structure, whereby MGX will be a shareholder of the mining company with its own shareholders, whether investment bank, JV partner, or consortium of investment funds. This is a core asset so it is unlikely we would list it independently. This type of scenario as a private sub then allows cash to flow back into MGX with which we can start to buy back shares and pay cash dividends. The share buyback is something we want to get going as soon as it is practical. TCI: Interesting plans. When do you think the Driftwood PFS will be ready? Are you going to fund capex from the PFS or would you need a FS for financiers? JL: We will have a PFS update this week. Basically all the data has been compiled and analyzed and Hatch wants some additional metallurgy and thermo work done in order to fine tune the finished product. This works for us as it will get us a variety of very specific samples we can use to negotiate offtake and potentially start talking to JV partners. This is the last external piece after which Hatch will take all the work they have done and complete all the detailed mine plan, plant design, etc. for the PFS. This is a pretty straightforward deposit and the first phase capex might be under $150 million, which we should be able to finance with just the PFS. We don't see the need of the very high level of certainty required for a FS, as it's just not a very complex operation with very limited pieces of equipment from an open pit. Roads are already essentially in place because of the logging in the area, lots of drilling already completed and bulk samples, and it all looks good. An after-tax NPV5 of US$240.7 million on a US$179.3 million capex, 19.3% after-tax IRR, just a great project for British Columbia. And there is also potential for a significant LOM- and resource increase, when we get back to drilling in the spring, which would make its way into the PFS. Very exciting and the most environmentally friendly product, MgO is great for the environment, animals, people and plants, and there are lots of uses. The global market is north of 10MT and prices are strong and raising, so we really expect a lot of support on of the cleanest commodities one could mine. TCI: I'm looking forward to a timeline of this PFS. Let's talk a bit about South American brines now. How did MGX come to option Salinitas? Why so little public data on it or on the AIS website? Were brines from it tested before you optioned it? What technical data did MGX have on the property before executing the option? Will a similar approach to development as Kibby Valley be used, namely a resistivity survey followed by test wells? How did you come to the decision to go to Argentina as your first South American project location? To what extent, if any, will MGX need access to local processing or upgrading plants if Salinitas proves to be commercial? JL: Salinitas is part of Salinas Grande so this is former Orocobre territory and now controlled largely by LSC. There is a lot of data on Salinas Grande so we think we have the core drainage at the very south of the Salar. Phil Thomas, the CEO of AIS Resources, is one of the best there is in Argentina, legendary, things are moving so fast that we can barely keep up, and costs are very low. We have done acquisition, geophysics and trenching, and expect to be drilling by month end. This is what happens when you have great partners like AIS. We were in the right place at the right time and I would also like to mention Martyn Element, Chairman of AIS and another London/Vancouver mining legend who was pivotal in putting this together. I am glad you asked about this, I could not be more excited about this project and how fast it is moving and could not say more about the management strength of AIS. We could see a rapid lithium extraction plant operating in the first half 2019 if all goes well. TCI: Aside from LatAm brines, MGX is also involved in a North American brine project with Belmont. I noticed Kibby Valley returning sediment/clay/ash drill core results, which can be compared to a company I am tracking, Cypress Development Corp. (CYP:TSX.V; CYDVF:OTCQB; C1Z1:FSE). The latest news release stated that Belmont is looking for saturated sediments containing lithium-rich brines, so I take it they are not looking to leach lithium from the non-brine material directly like Cypress does. Usually brines must extend for at least a few hundred meters vertically to generate sufficient economic size, but the drilling proceeded to a depth of 600m already, which is already deep for brine deposits. Is Belmont looking for brines at even greater depth now? JL: We are taking a wait and see approach at this time. This looks like a simple system with anything below 400m being clay as you mentioned. The clay is of no interest to us. Belmont is the operator and they drilled one deep hole 600m including the last 250m all clay, which we would have definitely cut short. Clayton Valley is generally under 400m to brine with clay acting as the seal so once you drill into deep clay it is time to shut the drill down. I may be wrong but that's our perspective. It is now planning a bunch of shorter holes, which is much more in line with our original recommendation. The gravel actually showed some interesting result under 100ppm Li but some 60�90ppm Li. Their plan now is in line with our recommendation which is a 6�8 holes spread out as part of a geochem, geophysics type grid pattern, and it might find something in terms of a shallow basin if it exists. Because of the one deep hole strategy that consumed the initial drill budget we are now looking to be more involved in management, we own 4 million shares, have 4 million warrants and an override of, I believe, 20 million shares at 20 cent, in addition to whatever we earn on the property. If we can gain a little more influence or it can have some success then it could get interesting, until then we will see. Obviously, we wish them luck and the near-surface drilling above the deep clay should be the focus. There is always a chance you could hit brine at 800m but this just doesn't suit the geophysics model, which shows what we now know to be a massive clay anomaly at 400m. Right now they are the operator so it is what it is. We have a lot of experience in lithium brine so bringing in our team as soon as possible would be the right thing to do but we don't have control at this time. If we are running the show it could be a very different story, but until then we will wait and see. TCI: The news release of July 31, 2018, is talking about 95% pure spodumene concentrate. What does this mean? The usual benchmark in the lithium industry for spodumene is 6% Li2O being a commercial concentrate. JL: It means all the gangue (waste) material is out and it's just spodumene. This isn't all that fancy, it's just chemical leaching but there are a lot of hardrock Li deposits in Canada so we thought we would do some work to see if we could come up with a quick and easy upgrade that would allow us to process mixed rock into a spodumene con that would be easy to sell at exactly the grade you are talking about, at 6�7%. I can't quote what the Li content is from the current work but we have about 10 samples of concentrate at ALS right now and we will have the third party assays very shortly, so this will provide us with meaningful numbers. It is still early phase but interesting, because there is just so much Li hardrock in Canada that could be accessed with a cheap leach process and we have a couple of good potential customers. Think of what cyanide leach did for gold. This is the concept. TCI: The patents on the nano filtration method are still pending. In the interview in February of this year you mentioned one year from that point in time. What is the updated timeline on this? JL: I believe we are moving to the National Phase sooner than later, which is when we have to decide which countries we file in. Then it goes to the actual individual countries that approve or disapprove the patent itself, which is another year or so. TCI: The last time we talked you mentioned that MGX wants to drill the rare earth (REE) property in order to get it to a resource. The company also applied for a drilling permit and expected to be able to drill shortly. What is the status on this? JL: We should have some drill results coming out shortly and if they are good we will go back in and drill again right away. REEs fit our portfolio and this is one of the best early phase projects out there. REEs are very high on the new U.S. strategic list and Canada is considered domestic for strategic purposes by the U.S., so there is a new opportunity in REE that didn't exist even two years ago. China side supply is now a serious problem. There is asset value in REE that didn't formerly exist. The bottom line is if it's used by the military, there is an opportunity. I would not say that the Department of Defense is freaking out yet but it's hard to be a real threat when many of your key metals and minerals are coming from your number one or two potential adversary. TCI: Something different. As we discussed in the past, a Venture uplisting is still out of the question? Do you have other uplisting initiatives planned in the near future? JL: No, we are not looking at Venture. But we are significantly advanced in the process and are unable to discuss at this time, aka quiet period. TCI: I have noticed that marketing efforts have increased to new and pretty lofty heights, with a $4.7 million spent on this in the last nine months according to financials, and no less than 75 news releases published in 2018 so far. Lots of those news releases don't contain material or mandatory news or can be easily bundled together in fewer releases in my opinion, like other juniors do. As these numbers are surpassing even big producers, do you have a specific strategy in mind by doing it this way? JL: First and foremost our shareholders like updates. We have a lot going on and when we don't put out news we get to hear about this from shareholders later on, so it's about being responsive. Second, most of the updates are material or near material, regulators require that we don't hold anything that might affect the share price back. We just have a lot going on so I guess we could combine results and deal flow but I think that would be more confusing not less. I am not sure why putting out more or less PRs matters in terms of optics if people don't want to read them that's fine. I find most of them very interesting and this appears to be the global sentiment. We are not really a junior company any more as we have two subsidiaries and a dozen active projects and twice as many significant deals or projects underway at a time with many employees and partners globally. Strategically, we are building a brand and that has been effective, reflected by winning the S&P Global Platts Metals Leadership in Base and Specialty Metals Award for 2018. This is a showcase of the top companies in the world such as Rio Tinto, and is the result of both our efforts but also a lot of marketing to just get on their radar and the benefit of this type of recognition is essentially priceless. In future we will not need to spend as much on marketing as the brand is starting to be globally recognized and most of the hard work is done or the marketing will be the responsibility of subsidiaries. Building a brand, however it occurs, is one of the most important things that can be done as a public company; our marketing is reasonably sophisticated and is becoming more and more organic so costs should level off or drop moving forward. This is what opens the doors for deals, financing, acquisitions, etc. No one wants to work with companies that they or anyone they know has never heard of. It's different if you are developing a single mining project but that's not us as we are in numerous verticals in a variety of ways and structures, so brand is key. TCI: What is the current financial condition of the company? JL: We raise and invest on a very regular cycle that is reasonably well defined. The balance sheet is strong. The financials will be out shortly, I can't preview this a week before this as you probably understand. Generally, we are looking to pare back on non-core projects or upgrade and invest in order to monetize or spinout these projects. The exception is technology where we will continue to acquire and develop particularly in battery and industrial energy technologies. We are now into initial revenue so the financing model and cash flow will begin to change. TCI: What do you see in the way of capital and financing needs over the next year? Do you intend on raising money through PPs or are we looking at loans, and what type? JL: We would expect to raise about $50 million over the next year but this will not all be done in MGX, but within subsidiaries as well with the goal to return cash and capital to MGX and eventually buy back shares. This is something we are focused on long term, the strategy is that eventually there will be fewer shares of MGX outstanding, and that we will push the financing of growth and related dilution out to subsidiaries and individual projects. Depending on cash flow we may look at share buybacks sooner than later but I can't comment further on this. Our competitor with that electric car company got himself kicked off the board by offering premature specifics in regard to potential financings, so I will only speak in terms of strategic goals. TCI: What are the prospects and main drivers for growth in the next year for each segment of the company? JL: Again this is a big subject. MGX Renewables is going public pending shareholder approval; this could be massive. I just took over as CEO of MGXR and we are refocusing our effort to compete with Tesla in the utility level mass storage space around 50MW. There is a lot of opportunity in this area and a lot of dormant power that just needs to be stored and then released. Power plants can't shut down even though no one is using any power in the middle of the night, or store and pump it back out during the day. So we may be in the power business very soon. That is in addition to the renewable power generation side of things. This is as big as it gets and with 20 issued patents we may have a lock on the IP for the lowest cost mass storage, which we believe to be zinc air batteries. We announced initial financing terms and this will go out as part of the shareholder approval process, which will give investors ground floor opportunity to participate in the spinout listing in addition to rewarding our shareholders of record dates in June and October with dividend shares. Purlucid is generating revenue starting this month and we have direct ownership of some the plants or indirect revenue from now being at 60% ownership of Purlucid by MGX so that should be a value driver. There is a big difference between revenue and pre-revenue, as you know. The water market is huge and there is actually very little or no competition at the very dirty, high cost waste end, particularly in the oil sands or geothermal high temperature high pressure end. Right now this waste either isn't dealt with or is sent down hole or to salt caverns just not even remotely ideal, instead of being filtered and reused or disposed of as relatively clean water. So again we could have a category killer on our hands here. This is without getting into a major U.S. push into produced water for example in the Permian, which really needs a reuse solution since there is just way too much water going in and out when it could probably be 70% reused. This is needing a partner, which we expect to sort out shortly, as we are in advanced talks with several parties for some time now. The mineral extraction technology for lithium is at various phases of business development. Now that we can ship systems, things will accelerate rapidly and you could expect announcements coming out very shortly on more deployments. These systems will find a home within our own projects as well as with a variety of lithium partners as well as potentially geothermal. Our petrolithium deployments should be steady but this is more of an add on to the water business. Charge for the water get the Li for free and then give a credit to oil and gas for these minerals. The oil companies love it even if it isn't a lot of revenue for them, it's just a sweet deal all the way around for everyone, as long as the water treatment costs are reduced on the front end by eliminating expensive water disposal and trucking. The big dollars in straight Li are in South America so this has become our focus. We have a fantastic team led by Francsico Acuna in Chile including the former Assistant Minister of Mines and as mentioned above Phil Thomas of AIS in Argentina. Technically we have added Vijay Mehtu (former Technical Director of FMC Lithium) to assist with finishing and upgrading technology, along with advisor Claudio Manissero (former Sales Manager FMC Lithium) and Randall Keller as our VP of Business Development (former Geothermal Asset Manager Berkshire Hathaway Energy). The Driftwood PFS should be complete in 2019 and permitting should be well underway as well as resource estimates and a PEA on our nearby silicon projects. We tested one of our Si projects for upgrading to silicon metal and that was successful, so we will move those along as well. We have three projects all near to Driftwood and a centralized site we have been looking at for a while, as well as our REE project and other BC exploration projects that may come in. We have a new patent for CHP (combined heat and power) using the core water treatment technology from Purlucid that was just filed. It envisions tri generation of energy from steam, clean water and mineral extraction. This could be another game changer at SAGD and heavy oil operations with the potential to drop costs in line with Saudi or at least that's what the patent envisions. This will result in very low cost power generation for internal use or sale. It could fit nicely with our mass storage batteries as well. 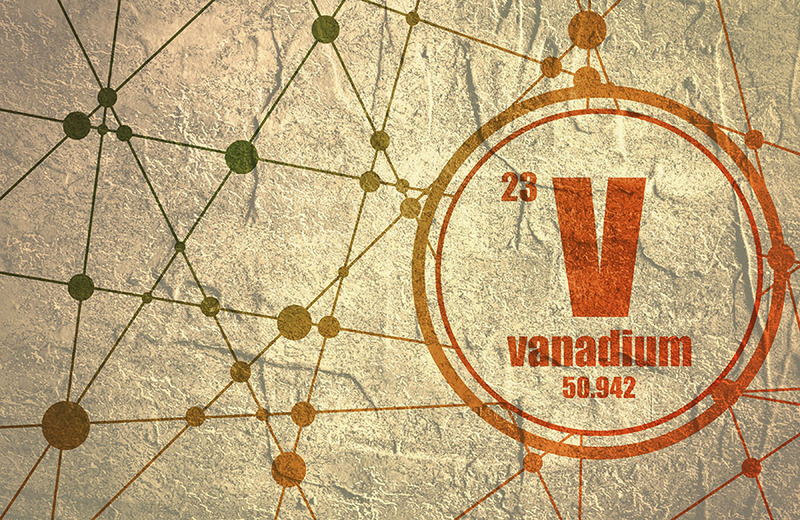 Finally, we just received the report on gasification of Pet Coke regarding Highbury to extract primarily vanadium but also nickel, cobalt and a couple other metals and produce hydrogen or synthetic crude and will make a detailed announcement as early as this week. The summary will be out shortly. Unfortunately we are severely limited in what we can say about mineral extraction because of NI 43-101. But we will do our best to convey the findings. We like the gasification space and expect to grow these technologies as well. TCI: Any updates on the hardrock lithium extraction process related to Power Metals and Dr. Blencoe? JL: These results are pending. We are sitting on the fence as to whether to remain active in the Li hardrock space directly or just be a technology provider, but Power Metals does have an interesting deposit as far as Li hardrock goes. TCI: What other industries and processes are you targeting for the introduction and application of the MGX/Purlucid/Bromley Cleantech? JL: I think we covered this in 2019 catalysts but we are looking at wide ranging applications of this technology in industrial recycling, mine tailings, mineral processing, as well as the many very dirty water applications that it was designed for. As mentioned there just is not any significant competitive technology we are aware of, most industries still use clarifiers and very expensive, not particularly effective technologies. TCI: Does MGX/PL/Bromley fully own the patents associated with the filter skin of the rapid lithium extraction system, or is that ownership shared with third parties? JL: David Bromley is the inventor. Purlicid has certain exclusivities and has the right to buy out the patent for US$1 million. Purlucid/DBE covers off this licensing for MGX. There are no outside third parties involved. It is a very close relationship as David is CTO and a major shareholder of Purlucid and a significant shareholder of MGX. Besides this, MGX recently funded a fantastic new CHP trigeneration patent for David and Preston McEachern involving energy (steam), clean water and minerals so it is an ongoing three-way relationship. TCI: After working through another extensive interview, I believe we have addressed the most urgent topics about MGX Minerals now. Is there anything you want to add for interested investors? JL: First and foremost, we could not do this without the unyielding support of our shareholders and investment funds. We said we would have revenue in 2018 and finally we did. I can't say how much business we will be doing this time next year but it will not be small. A new day has dawned in cleantech, energy and energy commodities�dream big as the sky is the limit. TCI: Thank you, Jared, for taking the time, 2019 seems to become the year of proving up concepts and hopefully you will succeed. JL: I'm glad to do these interviews with you as I believe they go much deeper than other interviews I do, and provide additional insights for interested investors and existing shareholders as well. The story is getting real now. MGX Minerals should be very close to production now through majority owned Purlucid, and by doing so very close to indirect revenues. Massive marketing efforts and awards didn't have the intended effect on the share price during this summer, but if the MGX owned tech could be implemented, could be broadly accepted in the O&G and lithium brine industry, and generate visible cash flows for MGX and majority owned Purlucid, there is no reason why this junior couldn't experience a re-rating. Having said this, it seems to be about time to show actual revenue figures, in order to restore/retain/regain investor confidence. I hope you will find this article interesting and useful, and will have further interest in my upcoming articles on mining. To never miss a thing, please subscribe to my free newsletter on my website www.criticalinvestor.eu, and follow me on Seekingalpha.com, in order to get an email notice of my new articles soon after they are published. The Critical Investor is a newsletter and comprehensive junior mining platform, providing analysis, blog and newsfeed and all sorts of information about junior mining. The editor is an avid and critical junior mining stock investor from The Netherlands, with an MSc background in construction/project management. Number cruncher at project economics, looking for high quality companies, mostly growth/turnaround/catalyst-driven to avoid too much dependence/influence of long-term commodity pricing/market sentiments, and often looking for long-term deep value. Getting burned in the past himself at junior mining investments by following overly positive sources that more often than not avoided to mention (hidden) risks or critical flaws, The Critical Investor learned his lesson well, and goes a few steps further ever since, providing a fresh, more in-depth, and critical vision on things, hence the name. The author is not a registered investment advisor, and MGX Minerals is a sponsoring company. All facts are to be checked by the reader. For more information go to https://www.mgxminerals.com/and read the company's profile and official documents on www.sedar.com, also for important risk disclosures. This article is provided for information purposes only, and is not intended to be investment advice of any kind, and all readers are encouraged to do their own due diligence, and talk to their own licensed investment advisors prior to making any investment decisions. 1) The Critical Investor's disclosures are listed above. 2) The following companies mentioned in the article are billboard sponsors of Streetwise Reports: Cypress Development. Click here for important disclosures about sponsor fees. The information provided above is for informational purposes only and is not a recommendation to buy or sell any security. 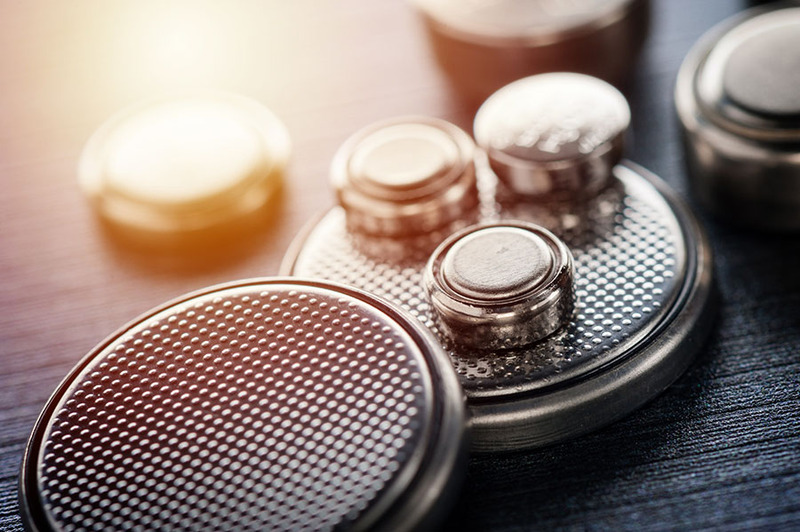 The arrival of a pilot plant adds to the already brisk pace of what a Canaccord Genuity report described as "the best undeveloped lithium brine project globally." Sector expert Peter Epstein explores the assets of a discovery play he believes holds high potential for investors. Data for a prefeasibility study will result from the forthcoming drill program. 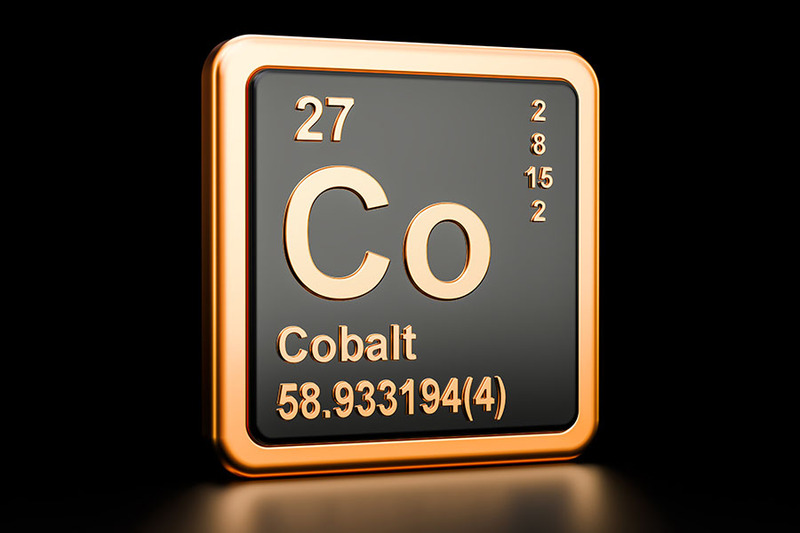 With the cobalt market expected to ramp up, one company is building North America's next primary cobalt mine. A Haywood report discussed the results from seven holes drilled at this company's project, as well as upcoming catalysts. Want to read more about Cobalt / Lithium / Manganese, Alternative - Cleantech and Alternative Energy? Sign up to receive the FREE Streetwise Reports' newsletter. Want to read more about Cobalt / Lithium / Manganese, Alternative - Cleantech and Alternative Energy investment ideas?